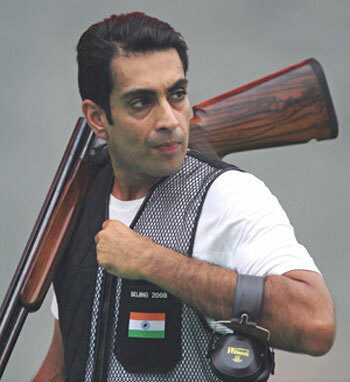 Ace shooter and Olympic gold medallist Abhinav Bindra took a sabbatical, while Gagan Narang's twin accolades at the ISSF World Cup, and a remarkable performance by Indians in the Asian Clay Shooting Championship, were highlights of an eventful 2009 for Indian marksmen. 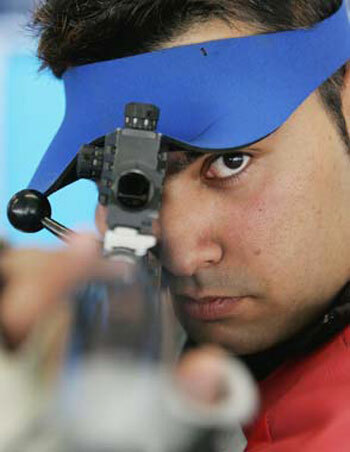 Narang, who failed to enter the final of the Beijing Olympics last year, gave Indian shooting plenty to rejoice about. The Hyderabadi created history by becoming the first Indian to bag a World Cup gold, winning the 50 metre rifle in April, at Changwon, Korea. 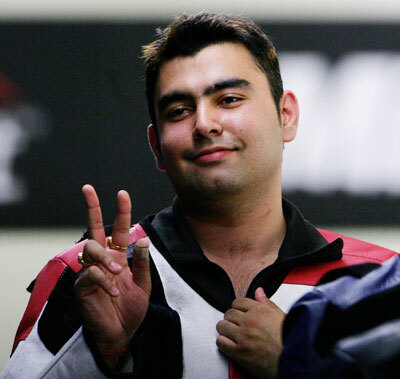 The 26-year-old shooter also became the first Indian to claim two medals in a single ISSF World Cup -- the other being a bronze in his pet 10m air-rifle event. Added to that, he entered the final of all the three events, including the free-rifle prone. The other Indians to return with silvers were Vijay Kumar (25m rapid fire pistol) and Heena Sidhu (10m pistol women). Narang finished the year on a happy note by signing off with a double gold -- individual as well as team -- at the Asian Air Gun Shooting Championships in Doha. The Indian Airlines employee shot an impressive 597, including a series of 99, 99, 100, 100, 100 and 99 at the qualifying stage and then followed it with a final score of 104.0, to register a total of 701.0, to beat Beijing Olympic silver medallist Zhu Qinan of China (700.7) en route to a gold medal. Later, Narang helped the team, including P T Raghunath and Sanjeev Rajput, to win a team gold in the event. With three gold, three silver and two bronze to their credit, the Indians earned three out of four quota places for the inaugural edition of the Youth Olympics 2010 in Singapore. In September-October, Indian shooters were spot on target at the Asian Clay Championships in Almaty, Kazakhstan, when the reigning world champion Manavjit Singh Sandhu shot gold and Mansher Singh won bronze in the trap events. Manavjit shot 121 out of 125 in the qualification round and in the finals 19 out of 25, while Mansher won the bronze medal with a score of 113 in qualification and 21 in the final. The duo then teamed up with Anwer Sultan (109) to help India win the silver in the team category with a total score of 343 out of 375. The Indians ended the tournament with a big haul of four golds, two silvers and one bronze. Out of competition for a major part of the year, Bindra became the first baton-bearer of the Queen's Baton Relay for next year's Commonwealth Games in Delhi, during a ceremony at Buckingham Palace in London. 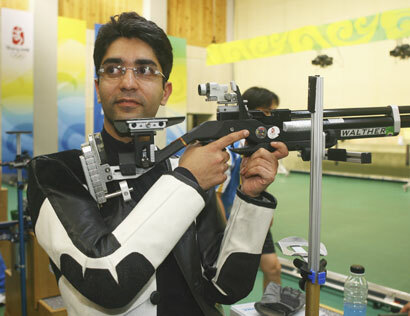 The year will also be remembered for the National Rifle Association of India going loggerheads with Bindra. First, the shooter was shown the rule book by the parent body and asked to come for trials for national events in early December. But Bindra, who was training in Germany, returned home only to know that the national camp had been put off till January 2010.